as you navigate the path towards wealth. Your best interest always comes first at Halpern Financial. Our clients benefit from the sum of our team’s talents in financial consulting, portfolio management, and personal finance education over a lifetime, from optimizing retirement saving to creating a legacy for generations to come. The first step of the journey is listening. While everyone’s destination is different, we have the expertise and tools to chart an individualized path to achieve your goals. Our specialty is providing unbiased advice for the large and small financial decisions faced by high net worth individuals and families. We receive no compensation from any product provider or transaction. Rather, we charge on a “fee-only” basis (a percentage of assets managed). We are paid solely by our clients to give advice and manage their portfolio. We have no affiliation with any bank, broker, or insurer, and we avoid all conflicts of interest. Our loyalty is firmly to our clients. We are subject to regulatory standards set by the U.S. Securities and Exchange Commission. Our clients benefit from the same exclusive access and cost savings as institutional investors. This access is typically not available to individual investors. Our clients share their financial hopes, dreams, and fears with us. They trust us not only to handle the financial complexities of their lives, but also to understand what is important to them and provide guidance on the path to achieve financial goals. Our independence allows total transparency about our offering. You wouldn’t hire any other professional without understanding what you get in exchange for the cost. Why should financial advice be different? We believe clients deserve a long-term advisory relationship based on integrity and trust, which fosters open communication, encourages candid advice, and promotes innovative strategies. Here’s the path we follow to achieve this. Our complimentary discovery meeting will center on learning about your financial needs and goals, while giving you the opportunity to ask questions and learn more about the values, philosophy, and capabilities of Halpern Financial. After gathering your information, we will develop a comprehensive review and recommendation report. This report provides a clear picture of the strengths and weaknesses of your current financial situation and presents strategies to help reach your financial goals and objectives. This report details your customized target portfolio allocation based on your objectives and risk propensity and includes specific steps to reach your target portfolio. We use a number of techniques to ensure your portfolio is implemented prudently, including "in-kind" transfers, value-based dollar-cost-averaging and downside protection measures. We continue the data gathering process using the Wealth Profile. This provides an overview of your current financial situation, helping us become more aware of your concerns and objectives, and organize and prioritize your goals. We will then begin establishing accounts and initiating the transfer process. During the establishment process we keep you informed of progress through proactive communication making it a simplified and seamless experience. By its definition wealth management is an ever-changing process and the approach needs to be flexible to adapt to life events, changes in the markets and economy, as well as new regulatory legislation. In addition to regular portfolio rebalancing and performance reviews, we believe it is essential to regularly assess progress towards your goals and objectives. 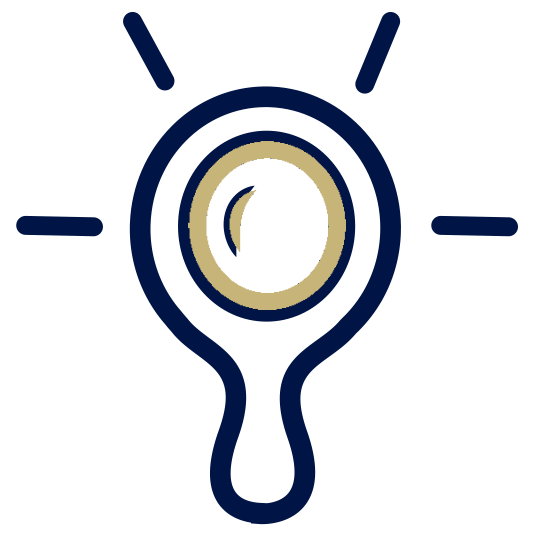 We use a disciplined, scientific investment process that focuses on each client’s unique objectives. Our portfolios are designed to mitigate controllable risks and maximize after tax returns. Our investment philosophy is influenced by economist Eugene Fama’s Nobel Prize-award-winning research on Modern Portfolio Theory and Efficient Markets. This helps us to find the optimal balance asset mix for each client’s needs, balancing potential risk and returns. We focus on the factors that are within our control (as opposed to trying to predict the fickle moves of the market). Rebalancing is the only way to improve your probability of consistently buying low and selling high. However, it feels very counterintuitive to buy “losers” and sell “winners,” so very few individual investors actually do rebalance. Our portfolios for tax-deferred and after-tax accounts are designed to ensure that various investments are in the correct type of account to limit taxes. In addition to the broad portfolio design, we take tax efficiency into account on a variety of levels, taking specific investments, cash flow needs, and the individual’s tax situation into account. This includes holding the right securities in the right type of accounts, and monitoring the tax implications of gains against losses. The funds and ETFs we select for our portfolios have extremely low expense ratios, which keeps more money “in your pocket” to grow through the power of compounding. Because of our size and institutional access, we are also able to trade free of cost, and we only use products free from commissions and other hidden fees. We perform regular performance reporting, use independent third party custodians, and present no hidden fees. Halpern Financial is strictly fee-only. Our fee consists of an annual percentage of assets managed plus an initial one-time client establishment fee. This covers all-inclusive, holistic wealth management. We do not assess separate fees for financial consulting services; this is all included. This structure places advisor and client on the same side of the table. The only way we are compensated is to grow your assets under management—not to sell you proprietary products laden with fees and commissions! Advisory Fees are automatically deducted on a quarterly basis from your accounts. The fee is assessed in arrears on the first day of each calendar quarter—in January, April, July and October. 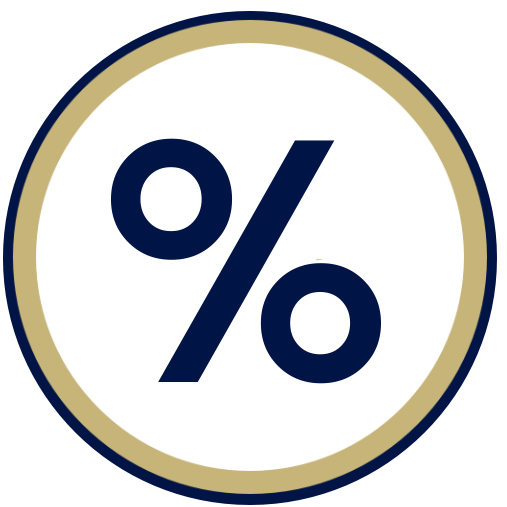 (Example: 1% annual fee/0.25% per quarter) If preferred, you can request to pay the fees manually and will receive an invoice each quarter. The minimum size for beginning an investment advisory relationship with Halpern Financial is $1 million, except for existing clients and their families. Accounts may be aggregated to meet the $1 million minimum relationship size. We will assess a 1.2% annual fee and a one-time client establishment fee of $1,500 on any accounts accepted for management that do not meet our $1 million minimum. Halpern Financial may waive its 1.2% minimum fee or charge a lesser investment advisory fee or Client Establishment Fee based upon certain criteria (i.e. anticipated future earning capacity, anticipated future additional assets, dollar amount of assets to be managed, related accounts, account composition, negotiations with client, etc.). The Client Establishment Fee covers the preliminary work done during the initial stages of the client relationship. This includes the Review and Recommendation report, establishing accounts, and any other. The CEF is a one-time flat fee payable within 30 days of signing the Investment Advisory Agreement. The majority of mutual funds and specific ETFs we use are traded free of charge. Fidelity assesses a transaction fee for the purchase and sale of stocks and certain Exchange Traded Funds (ETF). Halpern Financial, Inc. does not participate in this fee in any way. Please review Important Disclosure Information set forth in the last section of this web site. Q: Why is Halpern Financial Fee-Only and Independent? A: As a member of the National Association of Personal Financial Advisors (NAPFA), we are committed to aligning our interests with those of our clients. We can remain unbiased in our relationship with you because we accept no commissions or referral fees. Our compensation comes directly from our clients. Our independence from the broker-dealer and wirehouse world allows us to offer unbiased advice in an objective manner. Q: What is an Registered Investment Advisor? A: A Registered Investment Advisor is any person that meets the definition of Investment Advisor under the Investment Advisers Act of 1940 and is registered with either their state or the SEC. In general a Registered Investment Advisor with more than $100 million under management must register with the SEC, and those managing less than $110 million may register at the state level. Q: What is a NAPFA-Registered Financial Advisor? A: It indicates that a financial planner adheres to the industry's most demanding practice requirements, including Fee-Only compensation, and meets NAPFA's rigorous standards. Click here to learn more. Q: Does Halpern Financial accept commissions, referral fees or other hidden forms of compensation? A: Absolutely not. Our sole compensation is management fees paid directly to Halpern Financial from our clients. Q: Why is a Fiduciary Oath important? A: Halpern Financial believes an advisor should always act in good faith and in the best interest of each client. As such, we all abide by a Fiduciary Oath and disclose any potential conflicts of interest to our clients. We strive to build relationships based on integrity, objectivity, competence, fairness, confidentiality, professionalism, and diligence. Q: How does Halpern Financial provide transparency in its business practices? A: We subject to regulations set forth by the U.S. Securities Exchange Commission. Client assets are held at an independent third-party custodian. We avoid conflicts of interests by not accepting commissions or referral fees. We report performance on a quarterly basis, inclusive of any fees. Q: Who is a typical client? A: Halpern Financial has relationships with a wide range of clients, including professionals and business executives, small business owners, widows, individuals, families, retirees, and those with sudden wealth via an inheritance. We best serve clients looking for exceptional client service and that value a long-term partnership. Q: Do you have a minimum portfolio size? A: Our current minimum portfolio size is $1,000,000. If you have unique circumstances that you would like to discuss, please do not hesitate to give us a call. Q: How are fees determined? A: Fees include a one-time establishment fee and quarterly advisory fees based on the level of assets under Halpern Financial's direct management. Advisory fees range up to 1.20% per year, billed quarterly in arrears. The overwhelming majority of mutual funds we use are traded free of charge. Fidelity assesses a transaction fee for the purchase and sale of certain individual stocks and Exchange Traded Funds (ETFs). Q: How much does it cost to hold initial discovery meetings with your firm? A: There is no cost for our initial discovery meetings. This meeting gives us the opportunity to get to know one another. We seek a mutual agreement before we begin assessing any fee. Q: Once we start working together, whom will I be working directly with? A: Using a team approach you will have access to the expertise of all of Halpern Financial's professionals. The reputation of the Halpern Financial team, the breadth and depth of our experience will provide you with sound and unbiased advice. Q: Do you conduct trades and custody my assets for me? A: While we serve as an Authorized Advisor to execute transactions on your behalf, you remain in control of your assets. Accounts are held in your name through the institutional platform of Fidelity Investments, an independent third party custodian. 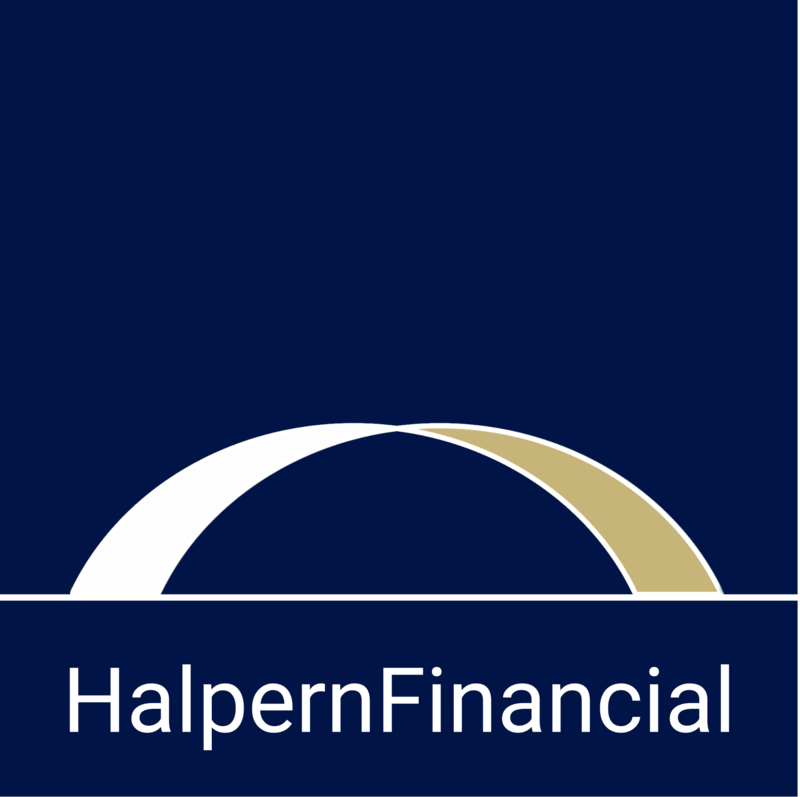 Q: As a client of Halpern Financial what type of account access do I have? A: In addition to quarterly investment reviews and regular performance reporting, clients can access their accounts via a private client login 24 hours a day. 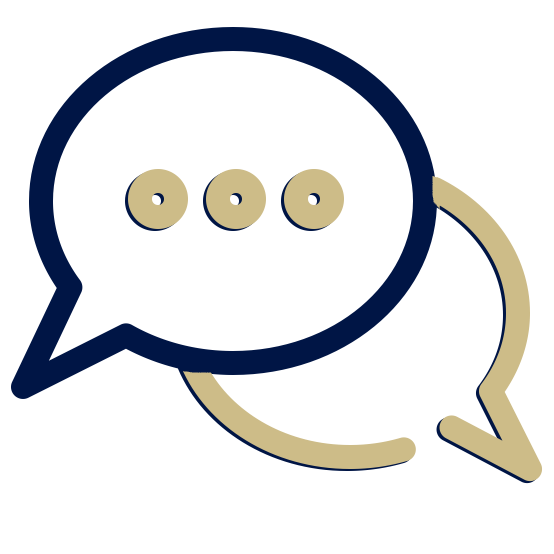 Q: How do you work with other professionals, like my CPA and attorney? A: We believe clients are best served when their advisors use a coordinated team approach, benefiting from the expertise each professional provides. Privacy comes first, so after receiving your approval we encourage sharing of information and when appropriate, joint meetings with your key advisors. If you do not have an established relationship we will be happy to refer you to a trusted source to address your needs. Q: What questions should I ask when selecting an advisor? Q: How do I get started? A: Please contact us to schedule your complimentary consultation. During this consultation we will take time to understand your goals and objectives and explain our investment methodology and philosophy on wealth management. When you think of wealth management, investments come to mind —but that is just part of what we do for our clients. At Halpern Financial, you have access to a team of experts to advise you on how to reach your goals in all areas of your finances. What truly matters when you are trying to find a financial advisor? We wrote a guide to help in your financial advisor search, but the bottom line is: fee-only, independent, and fiduciary. At Halpern Financial, these qualities are the foundation of everything we do. 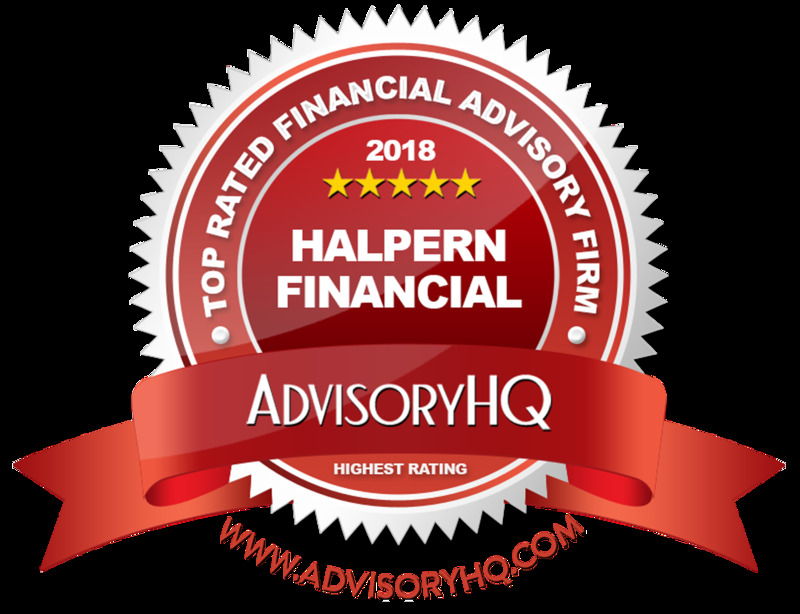 Halpern Financial has earned a reputation for excellence in our industry and we have been repeatedly recognized as a top wealth advisor by Washingtonian, Northern Virginia Magazine and others. We regularly contribute our investment and financial planning expertise to publications including the Wall Street Journal, the New York Times, and Bloomberg. We are proud members of the National Association of Personal Financial Advisors, Financial Planning Association, International Association of Registered Financial Consultants, and we have multiple Certified Financial PlannerTM professionals on staff. Learn what all of these qualifications mean for you as a client. Never miss our latest insights! Financial education doesn't have to be boring. Start with some of our most popular blog topics. We’re a small business with big-firm capacity. The team at Halpern Financial is unusual, and that's a good thing. Our portfolio manager focuses on the portfolio. Our financial planners focus on planning. Our advisors focus on advising clients. Our writer focuses on making our recommendations easy to understand, and our client service staff provides white-glove service every step of the way. It sounds obvious, but it’s not how many of our competitors are structured. We’re a team of experts, not generalists—and our clients like it that way. 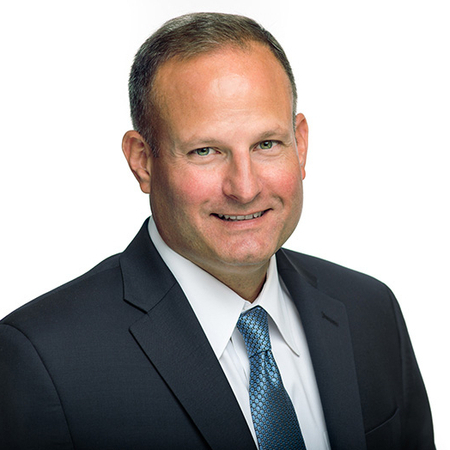 As Founder and President of Halpern Financial Inc., Ted is directly involved in developing and implementing wealth management strategies for affluent families and closely held businesses. He serves as Director of the firm's Investment Research Team and oversees the asset allocation process. Ted believes in educating our clients toward a logical path of wealth accumulation. Since establishing Halpern Financial in 1991 he has drawn his inspiration from motivating clients to achieve their financial goals. Ted holds a degree in Finance from the University of Maryland. He is an SEC Registered Investment Advisor, a NAPFA-Registered Financial Advisor, an Accredited Asset Management Specialist (AAMS), a Chartered Retirement Planning Counselor (CRPC), an Accredited Wealth Management Advisor (AWMA) and a Registered Financial Consultant (RFC). He is a member of the Financial Planning Association, the International Association of Registered Financial Consultants and the National Association of Personal Financial Advisors (NAPFA). Ted is a dedicated husband and father. He and his wife Bethe live in Leesburg with their twins Jack and Lauren and their dog Einstein. "Not Getting a Big Tax Refund? You're Actually Doing It Right." TIME Money. "How to Set, and Keep, Your Personal-Finance Resolutions." Wall Street Journal. "3 Reasons Why You Should Stop Timing the Market" published on Investopedia. "7 Essential Money Questions Sure to Start a Conversation." New York Times. "Closing the Bank of Mom and Dad" syndicated to the L.A. Times. 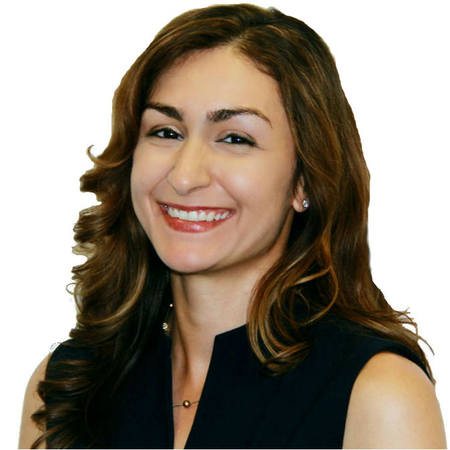 As the Director of Advisory Services and a Wealth Advisor at Halpern Financial, Melissa Sotudeh ensures our clients receive a routinely high-quality level of wealth management guidance from every member of our advisory team. She also works with our advisory team on best practices in developing and implementing wealth management strategies to be applied consistently to all our clients. Melissa has extensive financial experience in the development of retirement, investment, tax management and estate planning strategies. Melissa has a special passion in guiding clients to achieve peace of mind on their financial journey. In particular, she works with clients as they life-stage transitions, such as paying for college, maximizing being an empty-nester and sudden family changes. 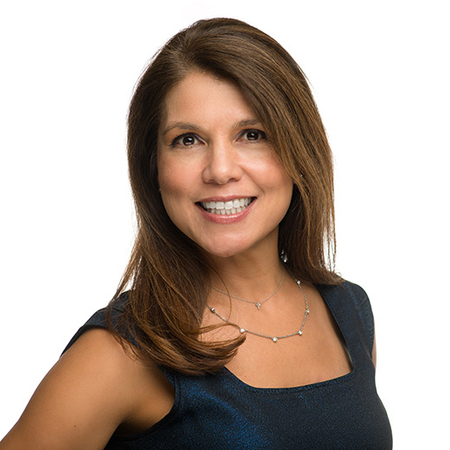 Melissa received her Bachelor of Arts in Economics from the University of Texas in Austin, and her Master of Business Administration from the Thunderbird School of Global Management in Phoenix, Arizona. Melissa has over twenty years of experience in a variety of business and community service activities. She began her career at the World Bank in Washington, D.C. and then went on to serve as a Management Analyst and International Market Development Specialist in the Office of the Executive Director at The US Securities and Exchange Commission for five years. In 2010, Melissa completed the Certified Financial Planner (CFP®) designation from the CFP Board of Standards. 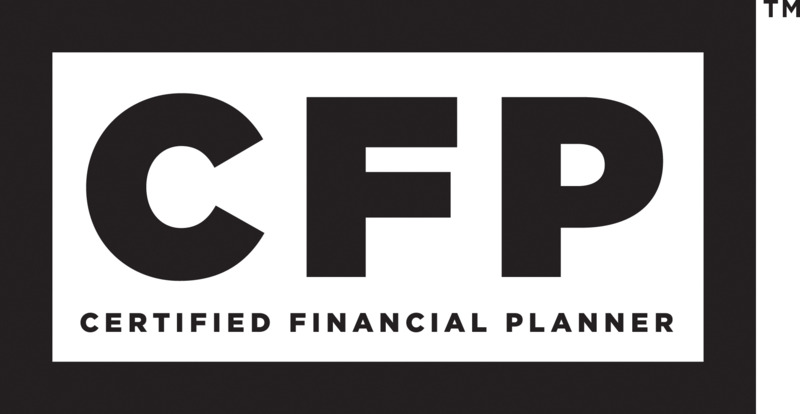 The CFP® designation is a mark of distinction for the individuals who have met the education, examination, experience and ethics standards established by the Certified Financial Planners Board of Standards (CFP Board). After several years of service as a volunteer with CFP Board, Melissa was appointed to the 2019 CFP Board Council on Examinations. The Council on Examinations is a volunteer group of CFP® professionals that serves as primary subject matter experts for the CFP® Certification Examination and provides CFP Board with recommendations regarding the development, administration and scoring of the exam consistent with best practices in high stakes testing and certification. Melissa has a passion for college planning since her two children went through the college search process. She presents her “Late Stage College Funding” talk to D.C.-area parents several times a year with a college admissions counselor. She has written several articles about college funding, and is the author of Find Your Financial Safety School, a choose-your-own-adventure ebook. She has promoted financial literacy in the region through one-on-one counseling with Capitol Hill staffers and her leadership role on the steering committee for the Metro Washington Financial Planning Day 2011 and 2013. She also served on the Board of Directors of the Financial Planning Association of the National Capital Area for four years. Melissa lives in Bethesda with her husband and two children. She is an avid runner and in 2017, she completed the Boston Marathon. "Ten Ways to Get a Good Return on Your Cash." Bloomberg. "Here Are the Best Savings Strategies for Your Personality Type." U.S. News & World Report. "Find Your Financial Safety School" episode of the Martinis and Your Money podcast. Read more of Melissa Sotudeh's media mentions! As a Wealth Advisor for Halpern Financial, Inc., Aaron directly engages with clients to help them identify short- and long-term life and family goals. He applies his knowledge and expertise from past experiences to develop advanced estate planning, tax management, investment, and retirement income strategies. At his previous firm, Aaron was entrusted to develop clients’ financial planning strategies to account for LLC and trust entities with complex ownership and tax issues. For each individual case, he accounted for real estate assets alongside the necessary investment objectives to create retirement income while generating a wealth legacy for other family members. Aaron obtained a Bachelor of Applied Science in Applied Economic Management with a concentration in Financial Planning from Virginia Tech in 2014, and became a CERTIFIED FINANCIAL PLANNER™ professional in 2016. 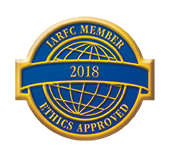 The CFP® designation is a mark of distinction for the individuals who have met the education, examination, experience and ethics standards established by the Certified Financial Planners Board of Standards (CFP Board). He previously obtained licensure in Virginia for Life & Health Insurance, along with his Series 7 and Series 66 Licenses, but has foregone these licenses with his choice to remove conflicts of interest and work in a fee-only environment as an Investment Advisor Representative with Halpern Financial, Inc.
Aaron is a proud former member of the Virginia Tech Rescue Squad where he provided medical care during emergencies. Among his various duties, he was elected by his peers to be the Financial Officer and successfully led grant writing efforts with proposals winning approval from the state and over $100,000 to direct region wide projects. 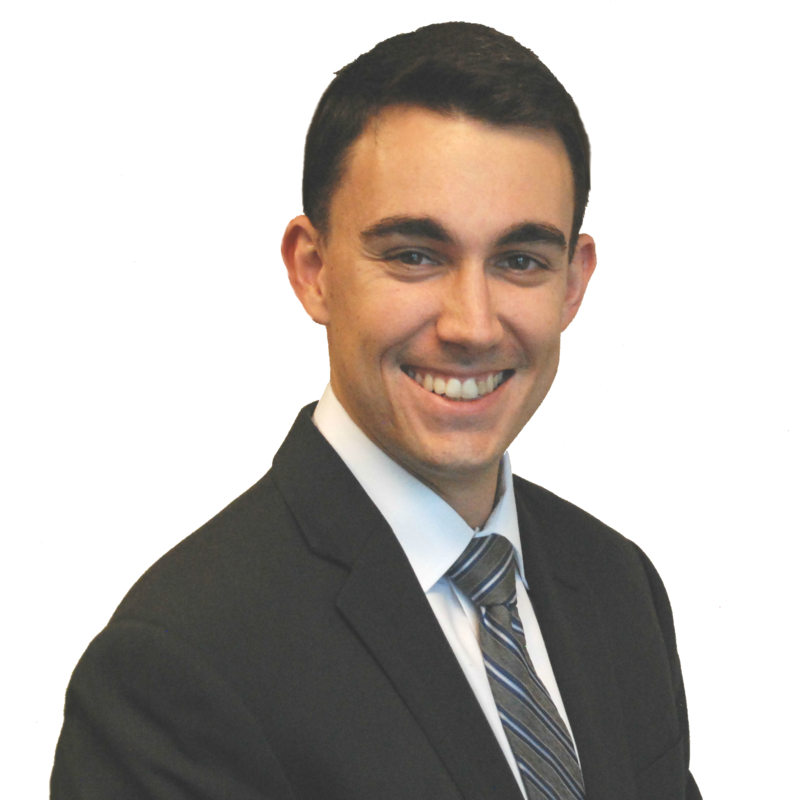 Aaron currently serves on the Board of Directors for the Financial Planning Association of the National Capital Area for his third year. In his free time, he enjoys fitness, exploring the great outdoors, and traveling to experience new cultures. His favorite quote is “A moment's insight is sometimes worth a life's experience.” - Oliver Wendell Holmes, Sr.
As Portfolio Manager for Halpern Financial Inc., Kirsty is primarily responsible for the design and application of investment strategies in client portfolios including the ongoing analysis of securities. She monitors balances, news, cost basis, activity and performance of portfolio holdings. She keeps clients in touch with their investments and how their portfolio responds to market movements. 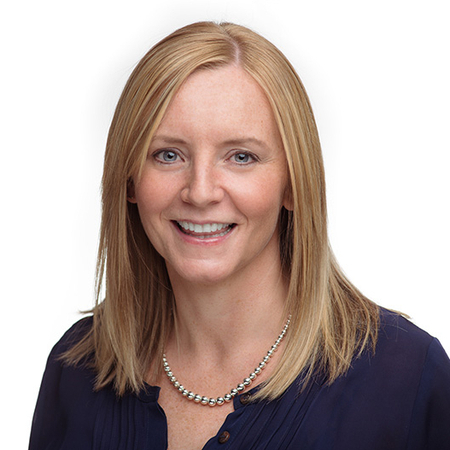 Kirsty is responsible for a broad array of customized portfolio strategies including the concepts of asset allocation, portfolio optimization, cash flow, tax efficiency and retirement planning. Kirsty is a member of the firms Investment Research Team, and contributes her expertise to the Smarter Investor columnat U.S. News & World Report. Kirsty joined Halpern Financial, Inc. in 2002, motivated by Ted's vision of the challenges and opportunities of working with an independent advisory firm. Kirsty is a CERTIFIED FINANCIAL PLANNER™ professional, with a Bachelors Degree with Honors in Education from the University of Edinburgh, Scotland. Kirsty is also a Registered Investment Advisor Representative and is certified as a Financial Paraplanner Qualified Professional™ through the College for Financial Planning. She lives in Virginia with her husband and sons. As Head of Planning for Halpern Financial Inc., Jennifer Davis ensures that clients receive the financial consultations they need at critical turning points in their lives—from the birth of a child to retirement. 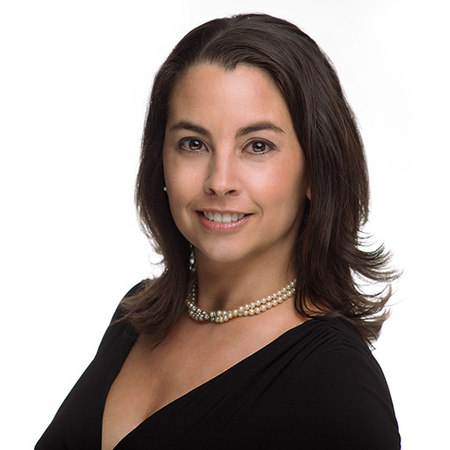 Jennifer provides planning expertise covering a variety of topics, from cash flow planning, debt reduction, insurance analysis, tax management, retirement projections and retirement income security planning. She helps to analyze and evaluate each client’s current financial status and goals, then develops and tests optimal recommendations to bridge the gap between where they are today and where they want to be. Committed to expanding financial wellness and education, Jennifer prides herself in giving honest, transparent and sound guidance. She joined the Planning Team at Halpern Financial, Inc. in 2015 and values the relationships developed with clients as she helps them meet life’s goals. 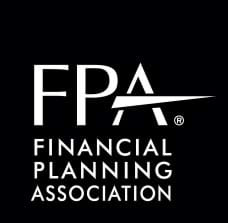 She is a CERTIFIED FINANCIAL PLANNER™ professional. 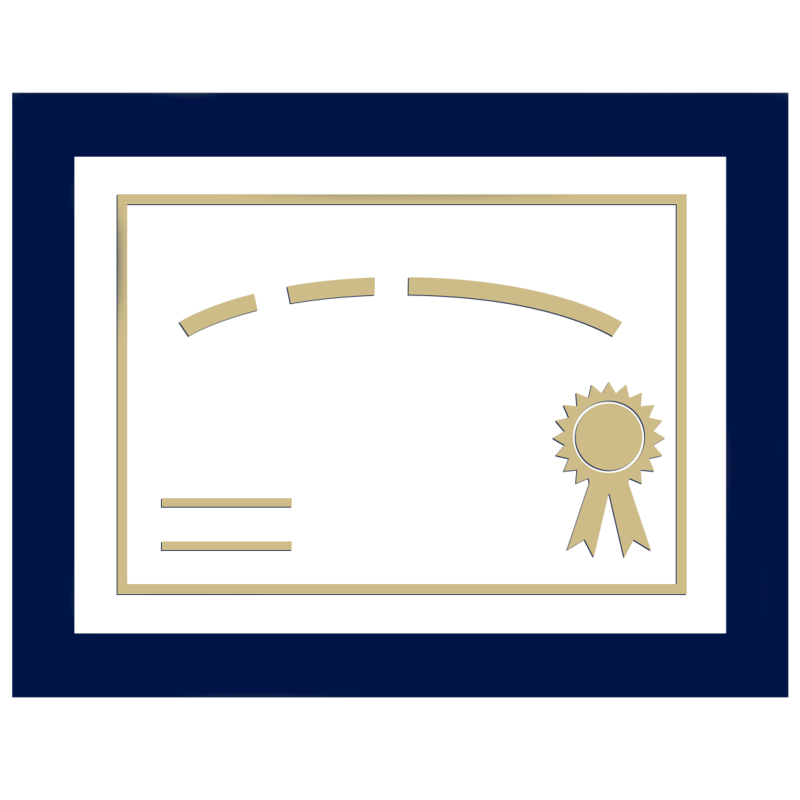 The CFP® designation is a mark of distinction for the individuals who have met the education, examination, experience and ethics standards established by the Certified Financial Planners Board of Standards (CFP Board). She also holds a federally licensed Enrolled Agent tax designation, the highest credential the IRS awards. She graduated with a B.S. in Finance and a minor in Philosophy from the University of Maryland, College Park. Jennifer's interests include being active, reading, and exploring the great outdoors with her family and friends. She volunteers with the Metro Washington Financial Planning Day to provide needed financial information to the community and raise awareness of the importance of financial planning. She also likes to compete in triathlons, which sometimes take her all over the world! She lives in Maryland with her husband, son and two cats. "13 Money Mistakes That Are Keeping You in Debt." SELF. Read all of Jennifer Davis' media mentions! As a Planning Consultant for Halpern Financial, Milena provides expert research for Halpern Financial client deliverables. She performs projections for clients’ financial goals, including cash management, college funding and retirement planning. For Milena, the most rewarding aspects of her work are giving quality advice that she uses in her own life and teaching clients about areas of their finances that they never realized could have such a life-changing impact on their goals. 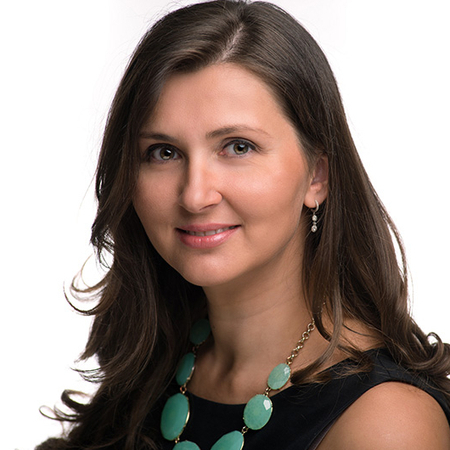 Milena joined Halpern Financial in April 2007 with a degree in Economics from George Mason University. She is certified as a Financial Paraplanner Qualified Professional™, and holds a Certified Income Specialist designation through the Institute of Business and Finance. Milena resides in Virginia with her husband Darren and their children. As Office Manager for Halpern Financial Inc., Jennifer is responsible for all aspects of client care and service, including establishing new client accounts, transferring assets and reconciling portfolios in the firm's portfolio management software. She is in frequent contact with clients to ensure that customer care with Halpern Financial, Inc. is of the highest standard. Jennifer ensures that the firm is always up to date with industry standards and frequently monitors new financial technology to optimize the performance of the back office. Jennifer has been a part of the Halpern Financial team since April 1999, motivated by the opportunities of working for an independent advisory firm. She is certified as a Financial Paraplanner Qualified Professional™ through the College for Financial Planning and if ever in need, Jennifer is a Notary Public. 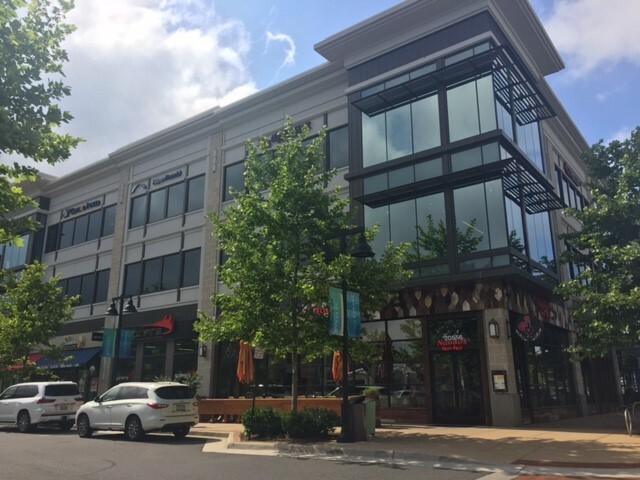 A native of the Washington Metropolitan area, Jennifer resides in Rockville with her husband and daughter. In her free time, she volunteers with the school PTA board and spends time with family and friends enjoying the culture, diversity and opportunities the area has to offer. 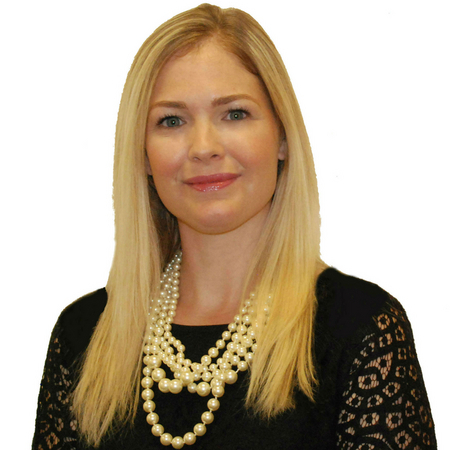 Lindsie James joined Halpern Financial in 2016 as the Operations Administrator. Lindsie ensures the firm's delivery of exceptional client service by providing critical knowledge and operational support to the team. She has brought with her a wealth of administrative and operations experience from her eight years as a patent prosecution legal assistant. She takes pride in a job well done, from the smallest of tasks to large-scale projects. She earned her B.S. in Business Marketing from Davis & Elkins College, as well as a Paralegal Certification from Boston University. Lindsie is also a Notary Public to facilitate document signatures in our Virginia office. Born and raised on the Eastern Shore of Maryland, Lindsie now lives in Leesburg, Virginia with her husband and son. She enjoys being outside, staying active, and traveling back to Ocean City, Maryland whenever she has the chance! As Client Administrator for Halpern Financial Inc., Susan enjoys being the starting point of contact with our clients. Her responsibilities include a number of administrative duties, as well as coordination of internal communications and email correspondence. 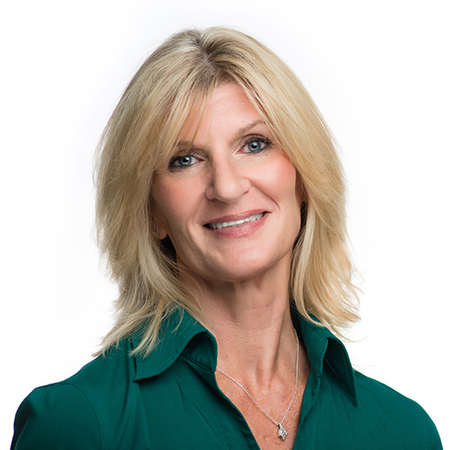 She personally greets all visitors to our office and is an integral part of maintaining the total client experience at Halpern Financial, Inc.
Susan resides in Maryland with her husband Michael and son Ryan. 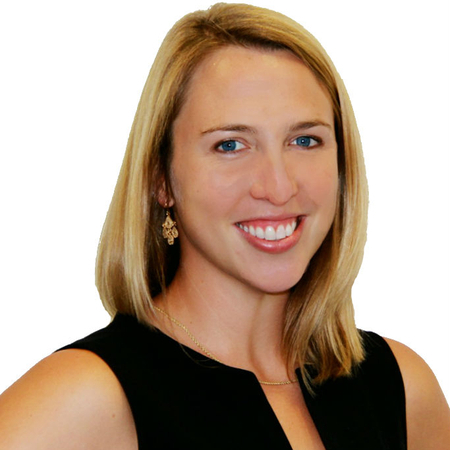 Carla LaFleur joined Halpern Financial in 2015 as the Communications and PR Coordinator. She is passionate about helping people understand financial topics, whether she’s composing client documents with “an audience of one,” or writing educational articles for the public. Carla holds a B.A. in English and a minor in Spanish from the University of Maryland, College Park. She is fluent in Spanish, and her background as an editor of investment newsletters and freelance writer has given her the skills to translate complex ideas into language that is easily understood. In 2017, Carla became certified as a Financial Paraplanner Qualified Professional™ through the College for Financial Planning to improve her ability to provide financial education for Halpern Financial clients. Carla lives in Gaithersburg with her husband and pets. A lifelong animal lover, Carla spends her free time riding the trails of rural Montgomery County by horseback, fostering rescue dogs, and training her Golden Retriever for AKC obedience competition. "The Fatal Flaw in Many Client Communication Strategies." Financial Advisor IQ. “Making Connections: How to Create and Cultivate Your Personal Network.” Goodcall. "Books & Blogs" column. NAPFA Advisor Magazine, May 2016 & July 2016. "How I Tricked an Advisory Firm Into Hiring a Writer." FinCon Connection Magazine, 2015. 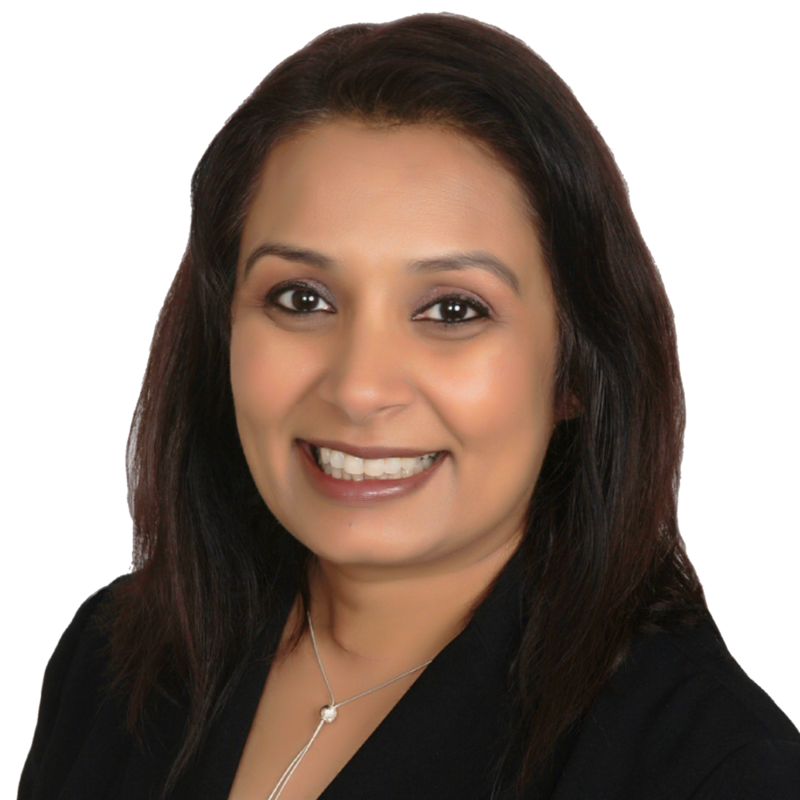 With over 15 years of experience in the financial advisory industry, Nisha Patel brings a wealth of knowledge to the Halpern Financial team. She works on the planning and portfolio management teams, helping to onboard clients and manage retirement plans. She is adept at providing software support and developing new processes through ongoing work, defect resolution, and enhancement solutions. Both the Halpern Financial team and our clients benefit from Nisha’s breadth of experience and knowledge of best practices. Nisha holds a Bachelors of Arts degree in Management and Business from Barat College of DePaul University in Illinois. She resides with her family in Loudoun County, Virginia, and in her spare time she enjoys making jewelry, as well as spiritual meditation and yoga. How do I continue to grow in an increasingly difficult market environment? What is the best way to maximize the value of the asset I have worked hard to build—my business? How should I prepare for a transition to retirement or other ventures? Halpern Financial has developed a platform to help RIAs meet these challenges. We offer the capacity to scale, tuck-in, or transition your business in a way that no roll-up firm can, without compromising the fee-only, independent structure you have worked hard to establish. We work exclusively with small- to mid-size advisory firms that uphold a strict fiduciary standard. Our typical clients want to protect what they have built and/or monetize the value they have built in their business, including succession planning, increasing growth capacity, and providing security for their heirs. Successful wealth advisors are often asked, "What if something happens to you? What would happen to my portfolio?" As a fiduciary you should have an answer to these questions. You have a life insurance policy for your family should you pass away. But what about a "what-if" plan for your business? Your business is an asset with value, but it's not a liquid asset. If something were to happen to you, what is your plan to monetize the value of your business? You're an advisor who has worked hard to build a fee-only, independent wealth management practice, but you’re ready to scale back as you approach retirement. You have differentiated yourself from the brokers and wirehouses that come with high costs and conflicted advice—and your clients appreciate this value. maintains the personal touch your clients have come to value. is not contingent on production requirements just as you’re reaching a point in your career where you want to work less. does not sacrifice your entrepreneurial spirit. Small- to mid-size advisory firms face a catch-22. You can’t afford not to grow, but you can’t afford to grow with the cost of compliance, technology, and hiring the right team. You want to transform your practice into a true business with longevity… but there’s a huge barrier to entry. There are firms available that offer a "back office" for firms like yours, but you are an independent RIA for a reason. You don't want a brokerage-like entity introducing inefficiencies. What you need is a technology, compliance and marketing solution that can provide a platform for your growth--but where do you invest first? You don't need to choose with tuck-in solutions from Halpern Financial. If you're part of an entity that is no longer a good fit, this solution is for you. When a wealth advisor is part of an outside entity, or has an existing business partner, their revenue channel often subsidizes the other parts of the business. What is the incentive to grow in this scenario? Your activity creates a pipeline of clients for the entity, but perhaps there is little investment in return. You would need to drastically re-engineer your current situation to become truly independent, but it’s difficult when your revenues are absorbed into other parts of the business. Tell us about your financial needs. How would you like us to follow up with you? Please remember that past performance may not be indicative of future results. Different types of investments involve varying degrees of risk, and there can be no assurance that the future performance of any specific investment, investment strategy, or product (including the investments and/or investment strategies recommended or undertaken by Halpern Financial, Inc.), or any non-investment related content, made reference to directly or indirectly in this blog will be profitable, equal any corresponding indicated historical performance level(s), be suitable for your portfolio or individual situation, or prove successful. Due to various factors, including changing market conditions and/or applicable laws, the content may no longer be reflective of current opinions or positions. Moreover, you should not assume that any discussion or information contained in this blog serves as the receipt of, or as a substitute for, personalized investment advice from Halpern Financial, Inc.. To the extent that a reader has any questions regarding the applicability of any specific issue discussed above to his/her individual situation, he/she is encouraged to consult with the professional advisor of his/her choosing. Halpern Financial, Inc. is neither a law firm nor a certified public accounting firm and no portion of the blog content should be construed as legal or accounting advice. A copy of the Halpern Financial, Inc.’s current written disclosure statement discussing our advisory services and fees is available for review upon request. We Want You to Read the Fine Print. Really. As fiduciaries, we have a commitment to complete transparency. That means we’re happy to share the nitty-gritty details of how we run our business, how we get paid, and how we protect our clients’ personal information. It’s not exciting but it’s important! The ADV is a two-part form all financial advisors must submit to the Securities and Exchange Commission annually. Our ADV is always available online and new clients receive a copy as part of the onboarding process. Existing clients receive a summary of any changes to the ADV annually. The first part of the ADV (called Part 2A) includes information about the investment advisory business, ownership, clients, employees, business practices, affiliations, and any disciplinary events. The second part of the ADV (called Part 2B) is written in plain English, and includes information including the types of advisory services offered, the fee schedule, disciplinary information, conflicts of interest, and the educational and business background of management and key advisory personnel. 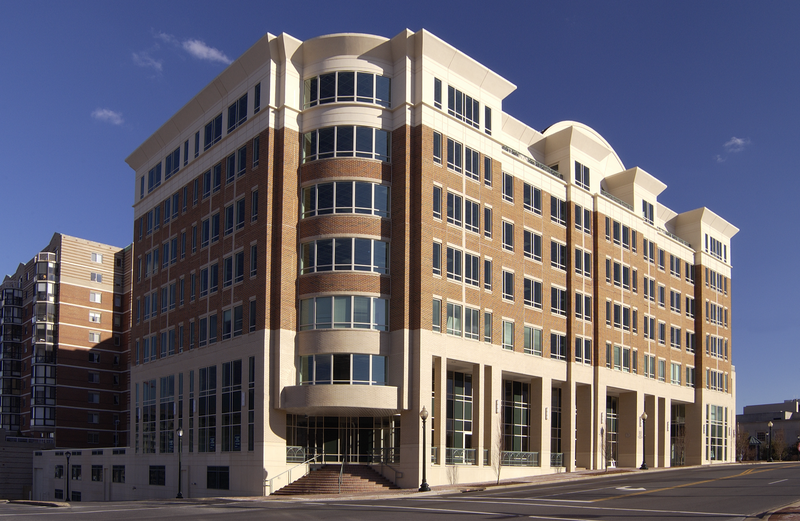 Halpern Financial, Inc. (“Company”) is an SEC registered investment adviser located in Ashburn, Virginia. Company and its representatives are in compliance with the current filing requirements imposed upon SEC registered investment advisers by those states in which Company maintains clients. Company may only transact business in those states in which it is registered, or qualifies for an exemption or exclusion from registration requirements. Company’s web site is limited to the dissemination of general information pertaining to its advisory services, together with access to additional investment-related information, publications, and links. Accordingly, the publication of Company’s web site on the Internet should not be construed by any consumer and/or prospective client as Company’s solicitation to effect, or attempt to effect transactions in securities, or the rendering of personalized investment advice for compensation, over the Internet. Any subsequent, direct communication by Company with a prospective client shall be conducted by a representative that is either registered or qualifies for an exemption or exclusion from registration in the state where the prospective client resides. For information pertaining to the registration status of Company, please contact the SEC or the state securities regulators for those states in which Company maintains a notice filing. A copy of Company’s current written disclosure statement discussing Company’sbusiness operations, services, and fees is available from Company upon written request. Company does not make any representations or warranties as to the accuracy, timeliness, suitability, completeness, or relevance of any information prepared by any unaffiliated third party, whether linked to Company web site or incorporated herein, and takes no responsibility therefore. All such information is provided solely for convenience purposes only and all users thereof should be guided accordingly. Please remember that different types of investments involve varying degrees of risk, and there can be no assurance that the future performance of any specific investment or investment strategy (including those undertaken or recommended by Company), will be profitable or equal any historical performance level(s). Certain portions of Company’s web site (i.e. newsletters, articles, commentaries, etc.) may contain a discussion of, and/or provide access to, Company (and those of other investment and non-investment professionals) positions and/or recommendations as of a specific prior date. Due to various factors, including changing market conditions, such discussion may no longer be reflective of current position(s) and/or recommendation(s). Moreover, no client or prospective client should assume that any such discussion serves as the receipt of, or a substitute for, personalized advice from Company, or from any other investment professional. Company is neither an attorney nor an accountant, and no portion of the web site content should be interpreted as legal, accounting or tax advice. Rankings and/or recognition by unaffiliated rating services and/or publications should not be construed by a client or prospective client as a guarantee that he/she will experience a certain level of results if Company is engaged, or continues to be engaged, to provide investment advisory services, nor should it be construed as a current or past endorsement of Company by any of its clients. Rankings published by magazines, and others, generally base their selections exclusively on information prepared and/or submitted by the recognized adviser. 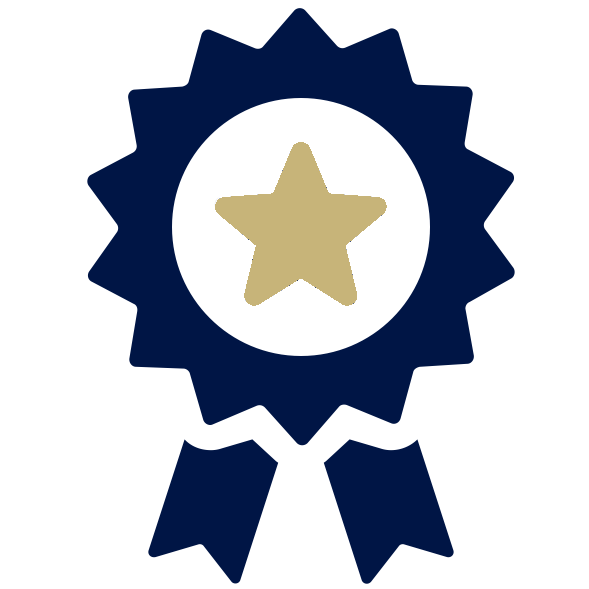 Rankings are generally limited to participating advisers. To the extent that any client or prospective client utilizes any economic calculator or similar interactive device contained within or linked to Company’s web site, the client and/or prospective client acknowledges and understands that the information resulting from the use of any such calculator/device, is not, and should not be construed, in any manner whatsoever, as the receipt of, or a substitute for, personalized individual advice from Company, or from any other investment professional. 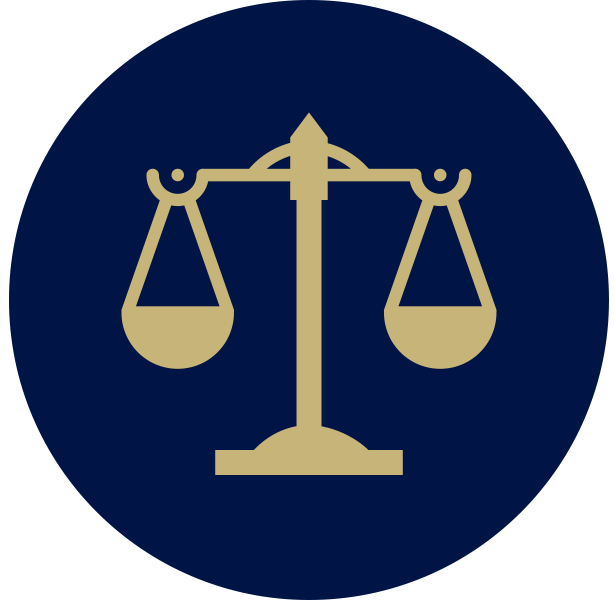 Each client and prospective client agrees, as a condition precedent to his/her/its access to Company’sweb site, to release and hold harmless Company, its officers, directors, owners, employees and agents from any and all adverse consequences resulting from any of his/her/its actions and/or omissions which are independent of his/her/its receipt of personalized individual advice from Company. IMAGE CREDITS: Percent by Ker'is from the Noun Project. mirror by Rémy Médard from the Noun Project. quality by Gregor Cresnar from the Noun Project. independence by Artem Kovyazin from the Noun Project. balance by Chameleon Design from the Noun Project. Conversation by creative outlet from the Noun Project.